The SA Sports Confederation and Olympic Committee (Sascoc) lifted its suspension of Athletics South Africa (ASA) yesterday, throwing its weight behind the federation’s interim board. 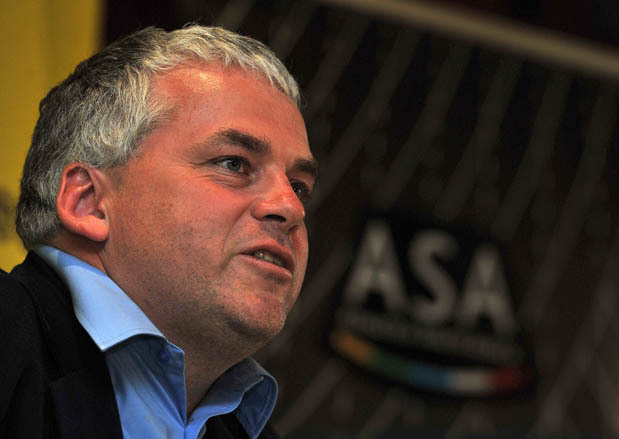 Sascoc said it had engaged with Sports Minister Fikile Mbalula and agreed to deal solely with the interim committee – not embattled ASA president James Evans –until a full executive is appointed. “The upliftment (of the suspension) will give our athletes the opportunity to represent our country at various international levels and will also steer the way clear in ensuring that the provisions of corporate governance are adhered to,” the Olympic body said in a statement. Suspended eight months ago after internal conflict resulted in divisions in the board, ASA was facing sanctions from this year’s Commonwealth Games and Youth Olympic Games. Provincial representatives called a special general meeting the night before the annual general meeting in November and a motion of no confidence was passed in Evans and his executive. Evans maintained yesterday he was in charge of ASA as he received continued backing from the International Association of Athletics Federations (IAAF) because the interim board did not receive approval in advance. He claimed four of the seven ASA interim board members, chairman Sello Mokoena, Harold Adams, Stephen Khanyile and Willie Jacobs, remained suspended by ASA for their involvement in the allegedly unconstitutional special general meeting. “To date the IAAF has not responded to any communique from Sello Mokoena,” Sascoc confirmed. The Olympic body invited the IAAF to engage stakeholders further.